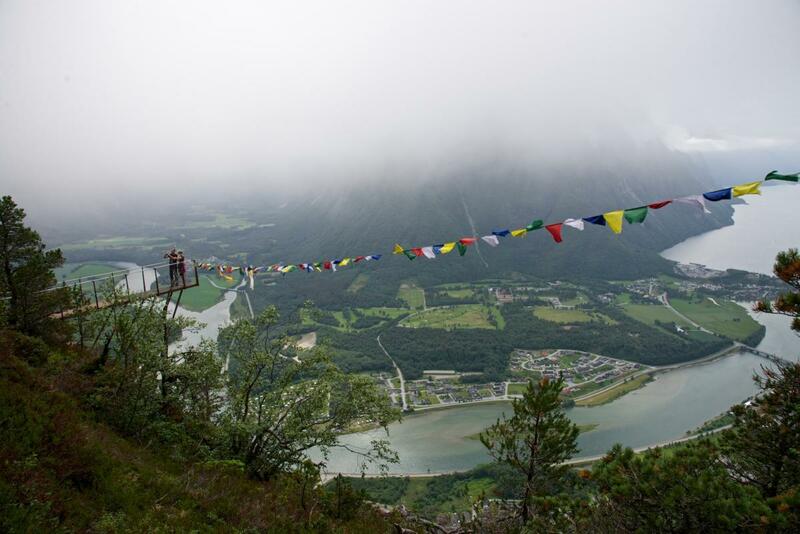 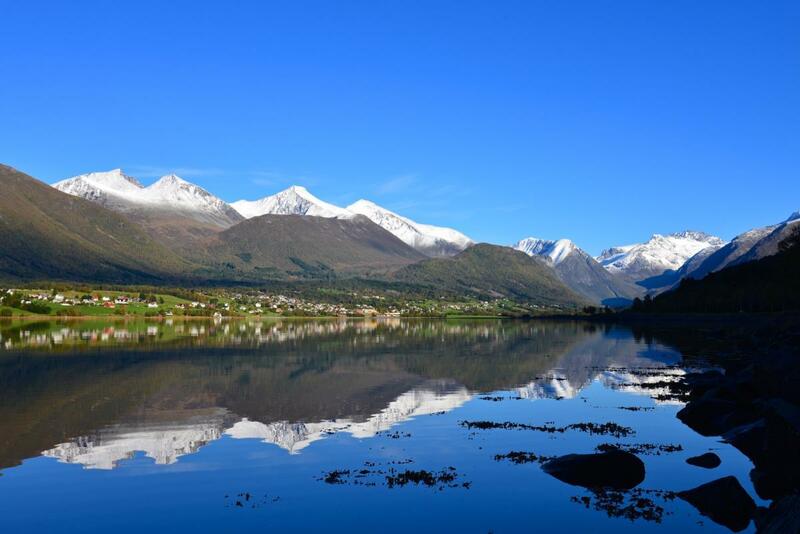 FJORDS® is situated in Isfjorden, close to Åndalsnes in Romsdal, in the county of Møre og Romsdal. 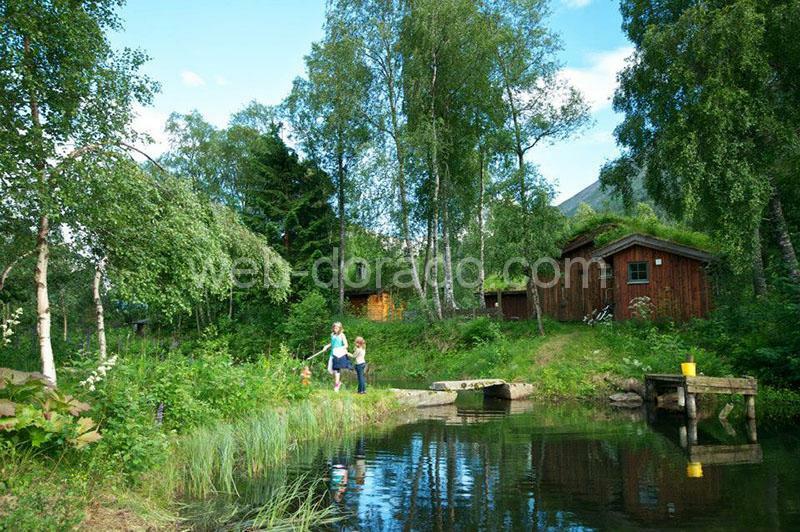 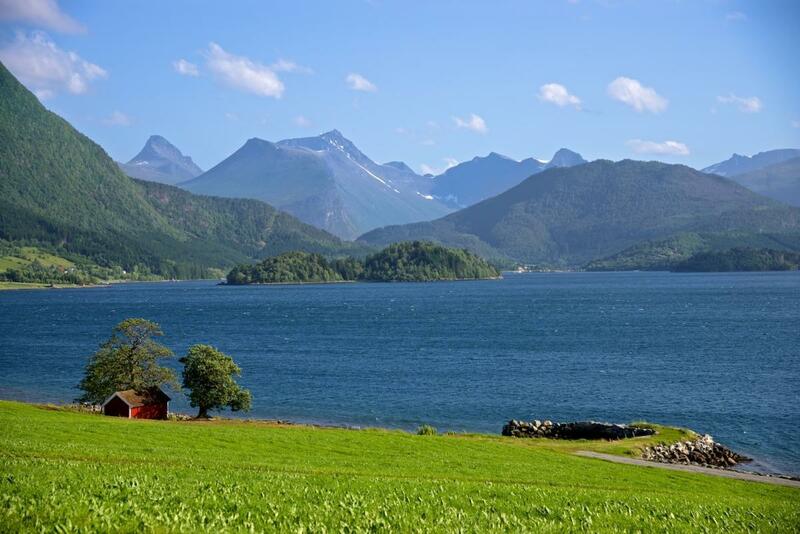 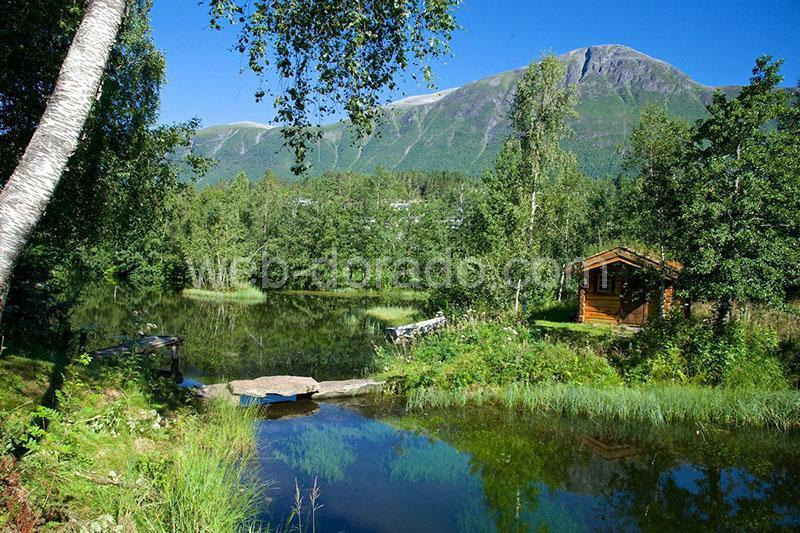 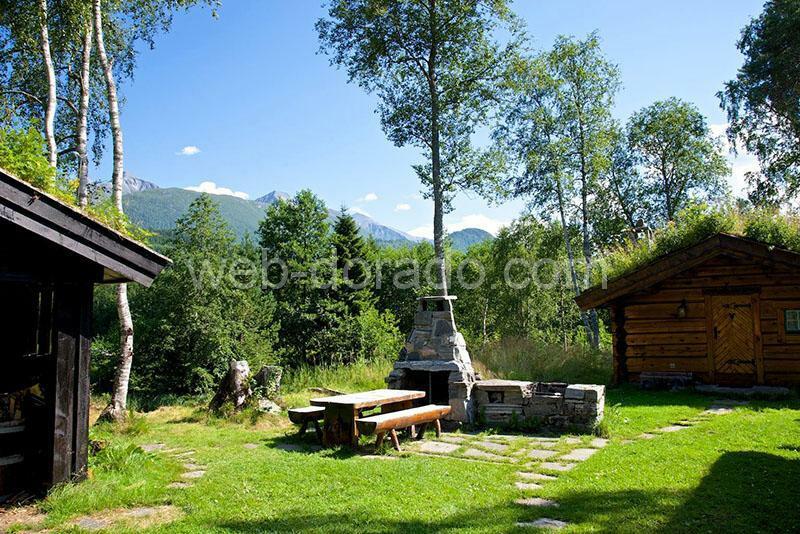 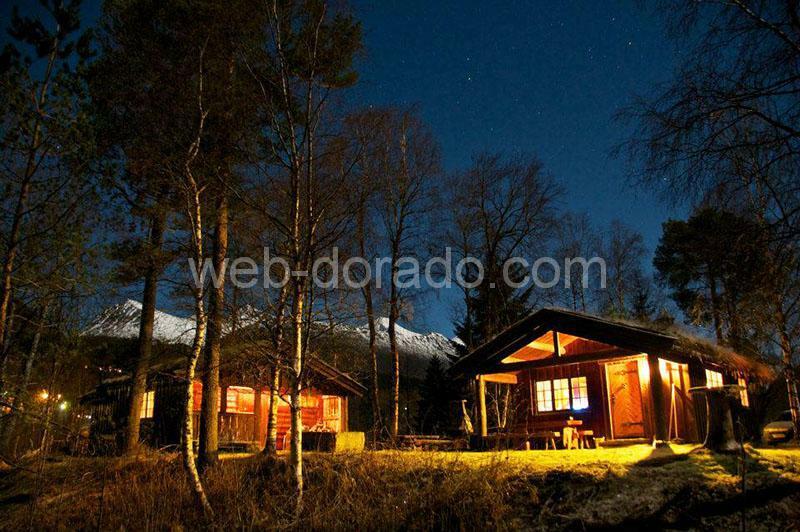 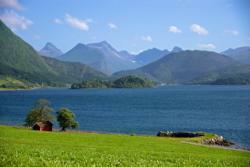 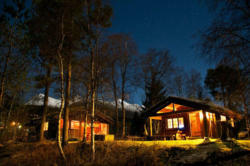 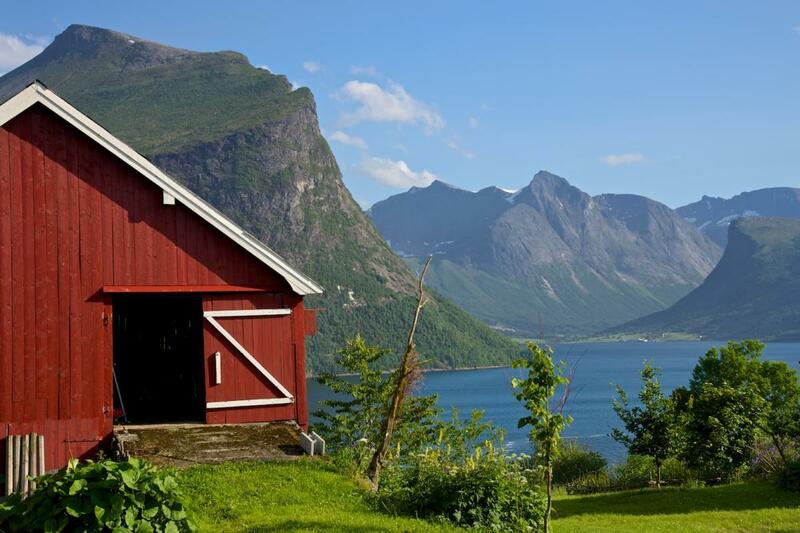 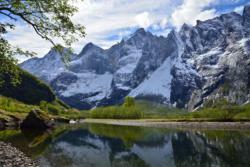 FJORDS® is a yard of four cabins by the Isa River in the center of Isfjorden in Romsdal, Norway. 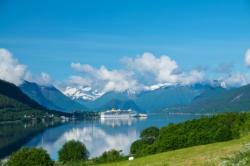 FJORDS® have a total of 12 beds and 2 bathrooms (with shower and toilet), divided in three of the cabins. We recommend a maximum of 10 persons due to the size of the main cabin. 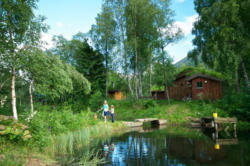 The main cabin has living room and kitchen with all necessary equipment. There are also Power Outlets for Electric Cars. 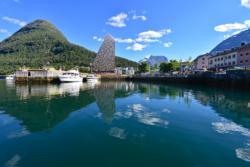 In cooperation with Woldstad Gard in Isfjorden we can offer a good dining experience. 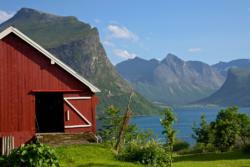 Woldstad Gard can deliver catering of your choice to FJORDS®, or you can be welcomed in the farm restaurant by appointment. Check menus at website. 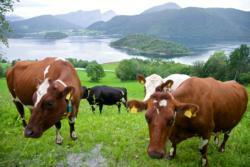 Catering need to be ordered minimum one day ahead. 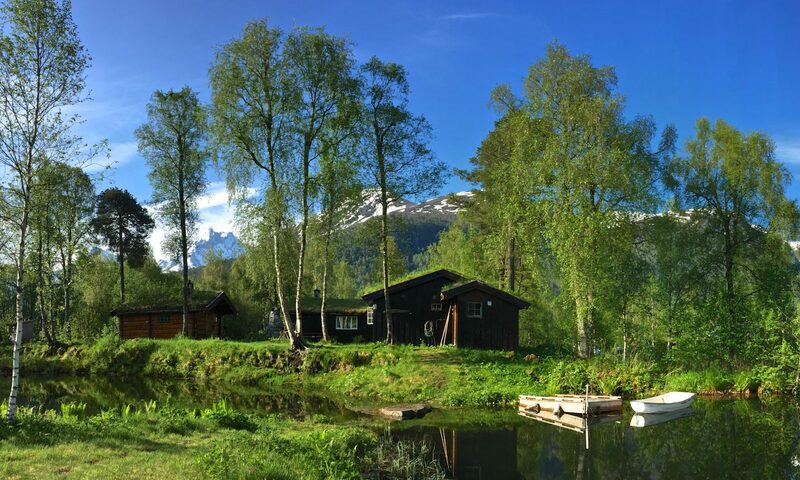 “Drop In Restaurant” between June 15th – Sep 15th. 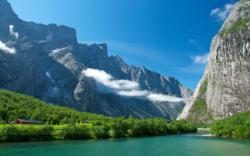 Phone : +47 92609509. 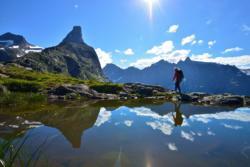 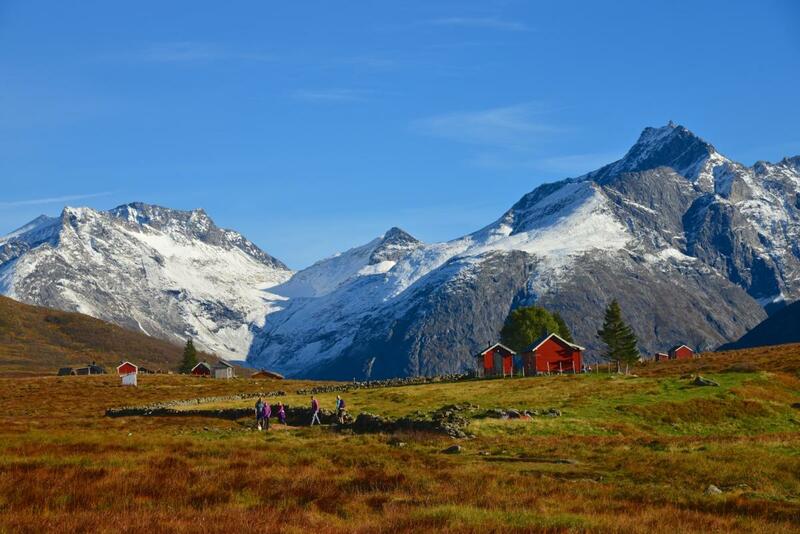 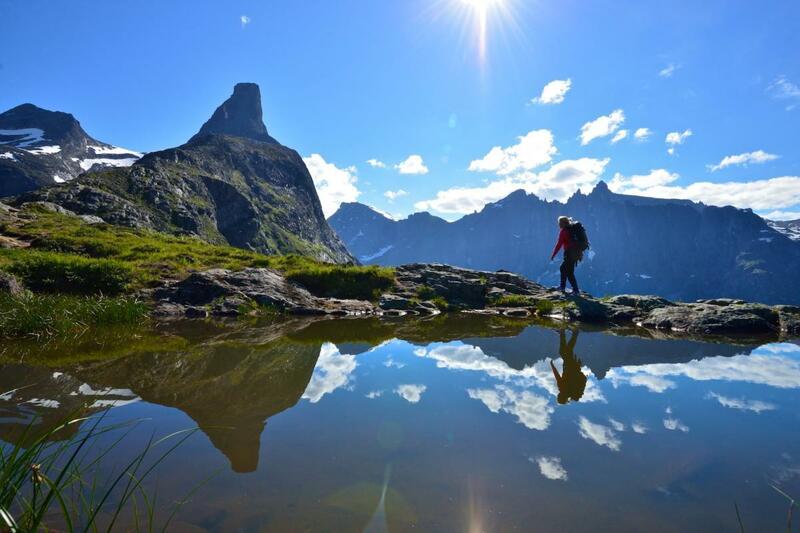 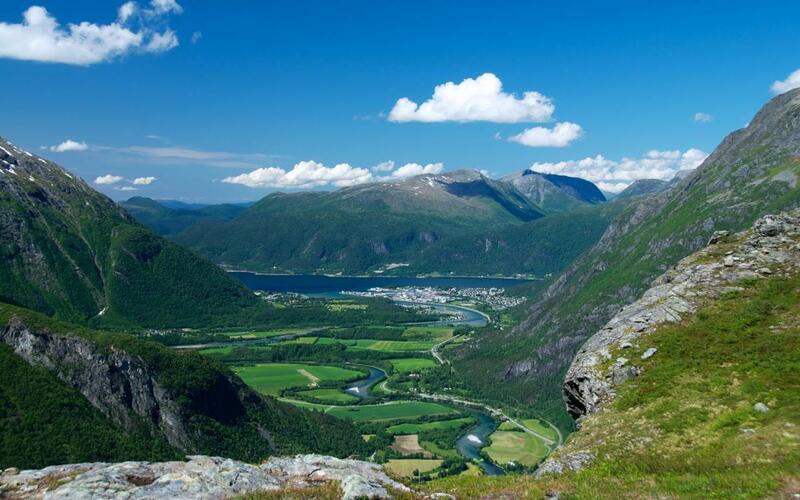 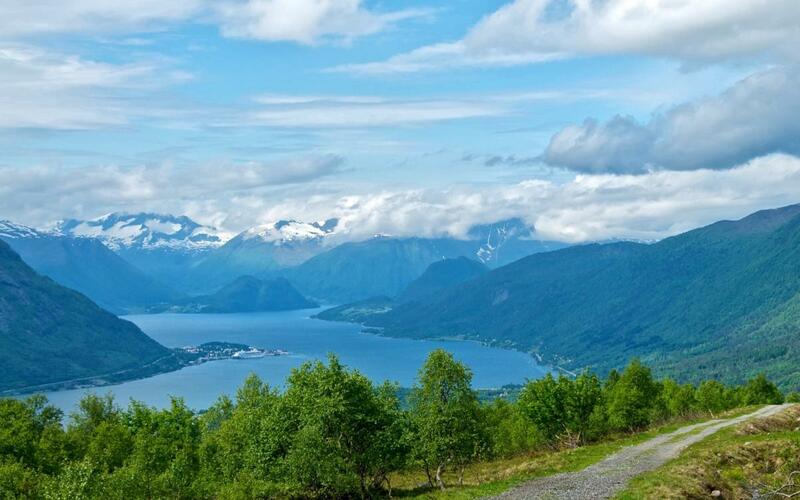 FJORDS® is a great base if you want to hike the Romsdalseggen Ridge or ski to Mt. Kirketaket in Isfjorden. 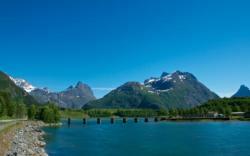 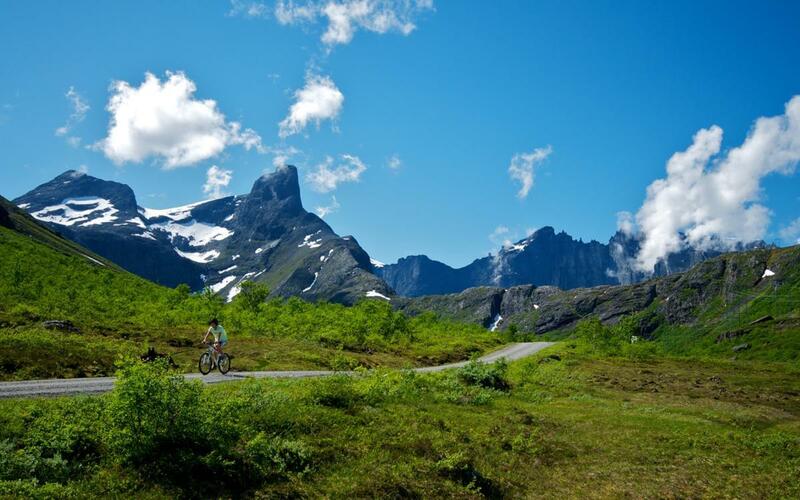 It is also only a short distance from Trollstigen Mountain Road, Mt. 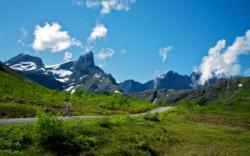 Trollveggen and the Romsdalsfjord. 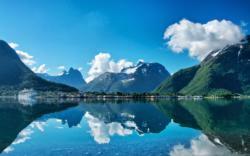 Read more about Isfjorden at www.isfjorden.com.